Obituary for Lenora Grenette (Reid) Truxon | Henry Funeral Home, P.A. On June 26, 1953, God blessed the late Wheatley and Melli Reid with a beautiful angel named Lenora Grenette Reid, whom they dearly loved. Lenora attended Queen Anne's County public schools and graduated in June’ 1971 from Queen Annes County High School. Following high school, Lenora attended Cortez Peters Business College where she studied Business Management. In 1972, Lenora met and married the love of her life, Vaughn Truxon, Sr. Their union was blessed with five beautiful children – Vaughn, Jr., Antoine, Tresicia, Trushun, and Jameyra. Lenora’s children and grandchildren meant the world to her. She took all of them to her most favorite place; and that place was church! Lenora would have them sing and read scriptures. Lenora, her children and grandchildren would frequently walk to and from any church service, no matter the day or time. Lenora was a woman with many trades. She worked at United Shellfish for 7 years; and as a caregiver at Midshore Residential Services for 15 years, where she had to retire early due to her husband’s lengthy illness. Lenora also ministered in song to several local nursing homes. As a little girl, Lenora attended John Wesley United Methodist Church, where she began her love for singing. When she and her husband moved to Thomastown, Lenora immediately joined Allen A.M.E. Church, where she worked faithfully in the kitchen ministry and sang with the Voices of Allen. Upon moving to Ridgely after her husband’s death, Lenora worshipped and sang in the choirs at Trinity A.M.E. Church and New Beginnings United Methodist Church until her stay at Corsica Hills Nursing Home. Lenora’s spirit was infectious everywhere she went even up to her last days. When she became a resident at Corsica Hills, Lenora stole the heart of everyone she met. She became one of the boss four in the “Corsica Crew.” In this crew were her rolling partners, Argusta Mclease, Margaret Wright, and Charles Scott. Lenora was preceded in death by her husband, Vaughn Truxon, Sr.; her parents, Wheatley and Melli Reid; her biological mother, Mary Graves; her brothers, Frankie and Norman Price; her favorite aunt, Nettie Jones; and loving friend Violece Carter. 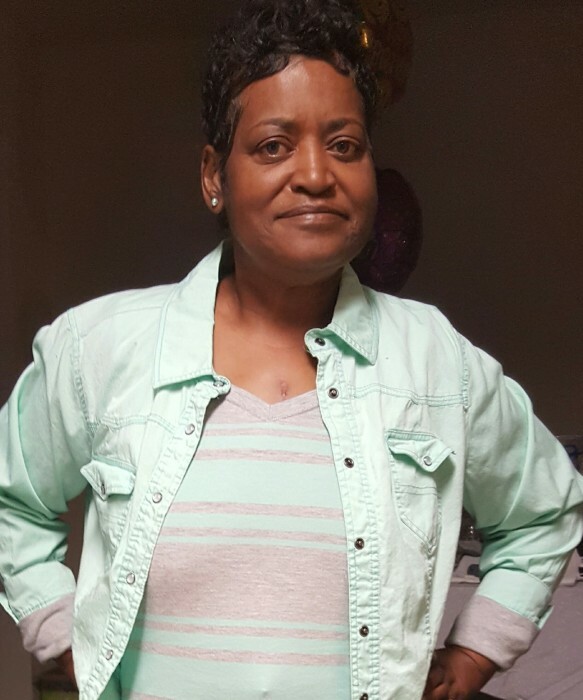 Lenora leaves to mourn her children, Vaughn, Jr., Antoine, Sr., Tresicia, Trushun, Sr. (Tracey), and Jameyra; six grandchildren – Jaylen Miles, Antoine Reid, Jr. Jayden Reid, Ja’liyah Miles, Trushun Truxon, Jr., and Trevon Faulk; god-daughters Delanda Talley, Cynthia Hope Sanders, and LaFaith Carter; and god-son Zatayvion Carter. Also, mourning her loss are brothers-in-law Harold Truxon (Virginia), Donald Truxon (Marion), Rodney Truxon; and sister-in-law Carolyn Gardener (Leon); faithful cousins Dulcie Flamer, Leola Cornish, Carolyn Pinkett, Diane Baker, Paul and Ann Wayman, Willie and Michele Wayman; special friends Mary Carter, Gloria Bordley, Alfreda Pulley, Vercie Wilson, Joyce and Jim Blizzard, Andrea Conaway, Margaret Thomas, Margaret Seth, Hope Brown, William Brown; and a host of nieces, nephews, and friends.